Please see our range of Amtico and LVT (luxury vinyl tile) flooring below. 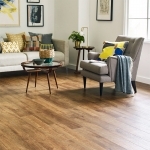 Amtico Flooring and LVT are stain and slip resistant flooring which is easy to clean. The flooring is long lasting and suitable for any environment, including commercial or domestic use, and can withstand high foot traffic. Horsleys of Gainsborough offer a free measuring and estimating service on LVT and Amtico flooring.